A special tribunal has begun the trial of eight suspected Islamic militants in an attack on a restaurant in Bangladesh's capital in which 22 people including 17 foreigners were killed. Twenty hostages, including 17 from Japan, Italy and India, were killed when five militants attacked the Holey Artisan Bakery in 2016. The militants were killed by commandoes inside the cafe during a 12-hour standoff. Two security officials died later in a hospital. The trial began Monday with testimony by a police official, Ripon Kumar Das, who described events as he and other officials responded when five young men stormed the cafe and held the diners hostage. Defense lawyers are to cross examine Das on Tuesday. The suspects face various charges including murder, and if convicted could receive capital punishment. The cafe attack followed several years of smaller attacks targeting scores of individuals deemed by extremists to be enemies of radical Islam, including secularists, writers, religious minorities, foreigners and activists. 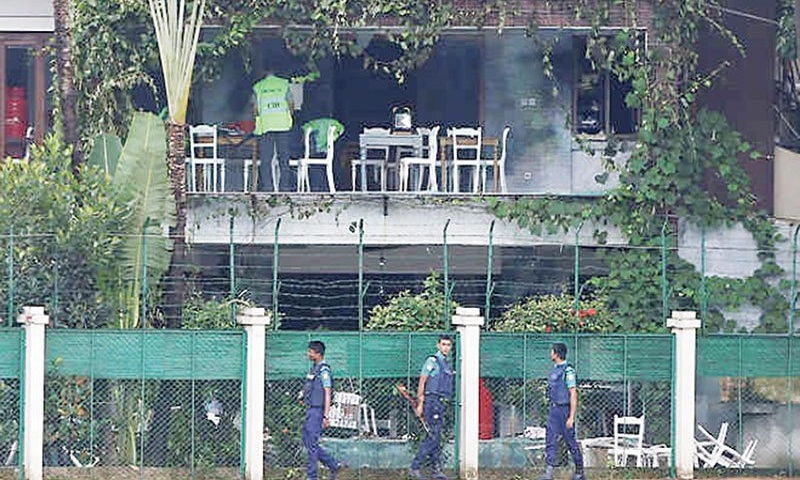 The Islamic State group claimed responsibility for the cafe attack, but the government of Prime Minister Sheikh Hasina rejected the claim and said the domestic group Jumatul Mujahedeen Bangladesh was behind it and numerous other attacks. The government insists IS has no presence in the country. A police investigation found 22 people were involved in the attack. Eight are on trial, including six who are behind bars and two others who are fugitives. Five suspects were killed during the attack, and the remainder died in a series of crackdowns across the country. The tribunal appointed five lawyers to defend the six jailed suspects after no lawyers agreed to defend them.